Here at Tableau we're passionate about data as part of the public conversation. For this reason, Tableau Desktop has been available to members of The Investigative Reporters & Editors organization (IRE) for free. And we’re excited to announce that in addition to Tableau Desktop, IRE members will now have access to our brand-new product designed to help everyone quickly and confidently combine, shape, and clean their data for analysis—Tableau Prep. If you’ve ever analyzed public data, you know the pain of digging into the data only to find that it is poorly structured, full of inaccuracies, or just plain incomplete. You’re stuck fixing the data in Excel or writing complex calculations before you can answer a simple question. 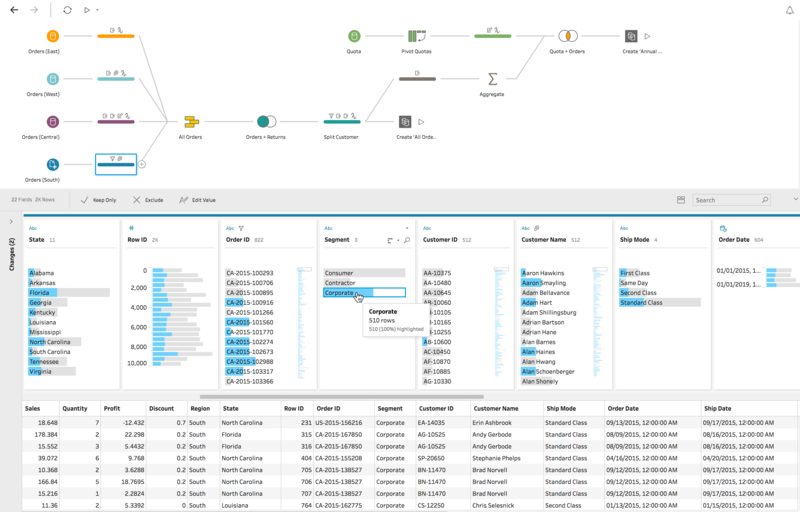 Tableau Prep is designed to reduce the struggle of common yet complex tasks—such as joins, unions, pivots, and aggregations—with a drag-and-drop visual experience. No scripting required. Tableau Prep is included alongside Tableau Desktop in a special combined license for journalists as part of our partnership with IRE. To get this free Tableau Desktop + Tableau Prep license, you must be a current IRE member and contact Amy Johnston, IRE Membership and Registration Coordinator (amy@ire.org). If you still have questions about this offering, please contact us at public@tableau.com. We would love to hear how this new product is shaping the way you tell stories with data.